KyivBuild, Intertool Kyiv, BuildTech and KIPS exhibitions. road and mining, stone and metal industries sectors. Heads of large construction companies, industry associations and representatives of business circles of Ukraine were among the honoured guests in the International Exhibition Centre. The Chinese Embassy in Ukraine also sent its delegation to the show, and adviser on trade and economic affairs Lo Wei Dong and commercial attache of the PRC in Ukraine Jin Xiaolong visited stands of Chinese companies. Total list of exhibitors consists of 240 companies, including joint national groups of Germany, Greece and China, as well as companies from Bulgaria, Great Britain, Spain, Italy, UAE,Poland, Portugal, Russia, Slovakia, Taiwan, Turkey, Ukraine, France, the Czech Republic and South Korea. The exhibition business programme premiered with special Days of popular building materials – armoured concrete, ceramics and aerated concrete. By evening, we counted first results of CIP (Commercial Important person) programme. 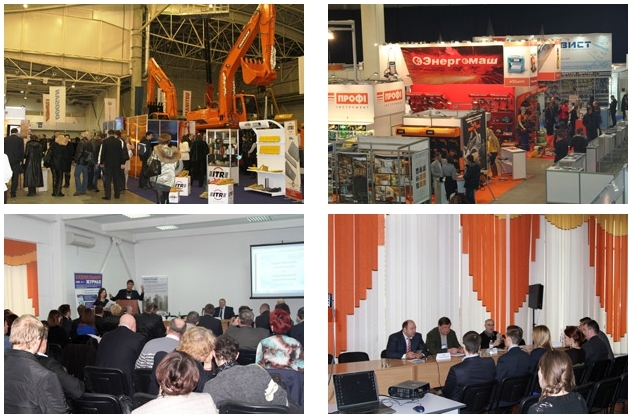 20 representatives of 12 trading companies across the country came to meet exhibitors of Kyiv construction shows. KyivBuild is a leading construction industry exhibition, supported by the Ministry for Regional Development, Building and Housing of Ukraine and the National Union of Architects of Ukraine. The event presents developments related to the entire construction cycle, from the architect's idea to achieving the goal, and is a reflection of key development areas of the domestic and international construction industry's latest achievements. KyivBuild has been the leading exhibition in Building for more than 15 years showcasing all the developments and achievements in the industry. Not only has KyivBuild increased quantitatively over the years, but also in terms of quality and variety of products and services showcased. The exhibition comprises of 6 specialised trade events, covering the entire spectrum of products and services within the building and interiors industry. Source: KyivBuild, Intertool Kyiv, BuildTech and KIPS exhibitions Official Website.